My sister very kindly surprised me with a Morphe Palette for Christmas, didn't she do good? I'd never told her that I really wanted to try one, or which one I was after, but somehow she did an absolute solid and got the one I really love. The palette in question is the 35OS. It's 35 warm shimmery shades and is absolutely stunning. There are a whole host of different shades, and plenty of different looks to be made. I've been so busy with revision since Christmas that I didn't get a chance to try it out until today, and oh my am I impressed. I am usually a Naked Palette kinda gal, and rate Urban Decay extremely highly when it comes to eyeshadows, so I wasn't really sure what to expect from this beauty. Now, the shadows aren't quite as creamy and buttery as my beloved UD ones, but they're definitely not bad - they blend beautifully. As for pigmentation, these are great. Even the tiniest amount of these shadows creates a deep, rich eye. The darks are dark and the pale shimmery ones don't blend to nothing - it's a yes from me. The longevity is also good - I used this today with no primer and it's lasted all day, even through an exam and all. As for cost, £23.50 is notttt a bad price at all and I can definitely see my next palette purchase being another of these. The only criticism I have is it doesn't have a mirror in... I think if it had a mirror this palette would be verging on perfect. Overall, I would definitely say the Morphe Palettes are worth the hype, and if you haven't tried one it's definitely time to jump on the bandwagon! 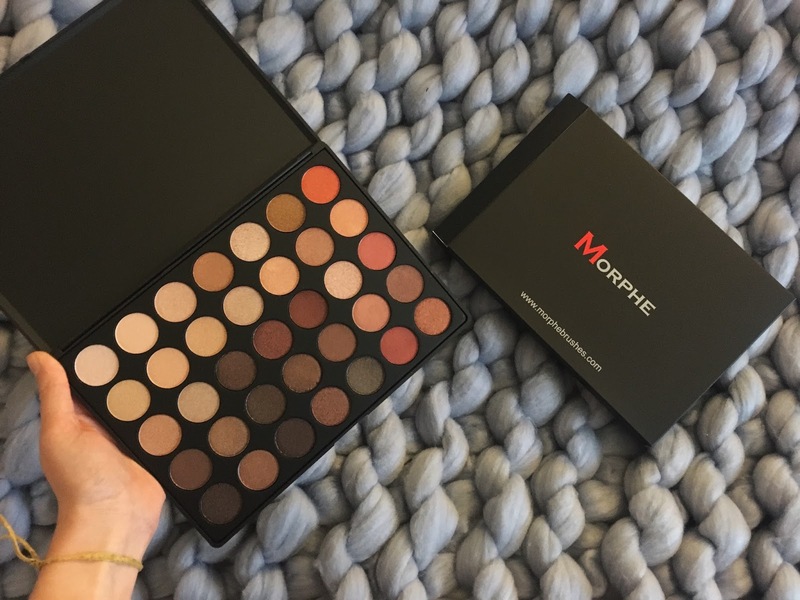 Love morphe palettes so much and this one is so nice! I really love those shades - especially the darker ones. This is such a nice looking palette.